These brushes are such a great deal, you can afford to buy several sets and worry less about keeping them clean. Use them and abuse them. Each set has a graduated series of sizes in one shape. Choose from flats and rounds, bristle and nylon. 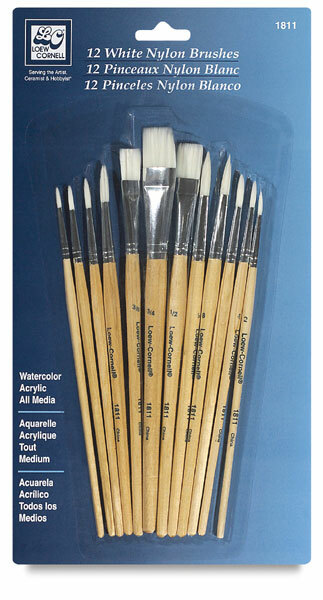 These sets contain one Round brush in each size, 1-9 and Flat brushes in sizes 3/8", 1/2", and 3/4".